Visiting an old trusted friend…. the trusty log cabin(wonky-improv style)! 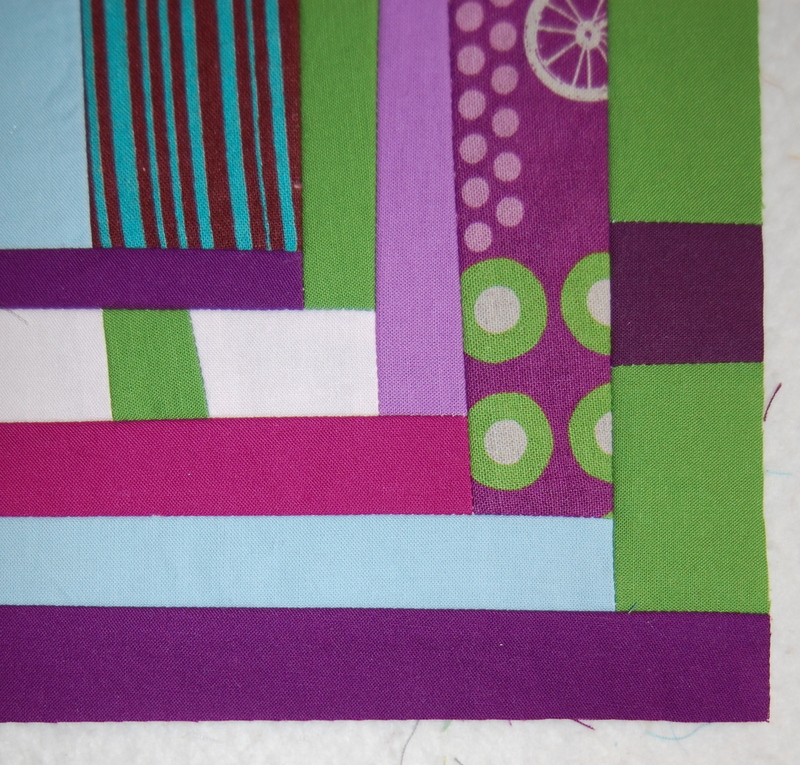 while the block is an old familiar, the color scheme is definitely not, for me anyway! I felt the need to play around with some new to me colors schemes. 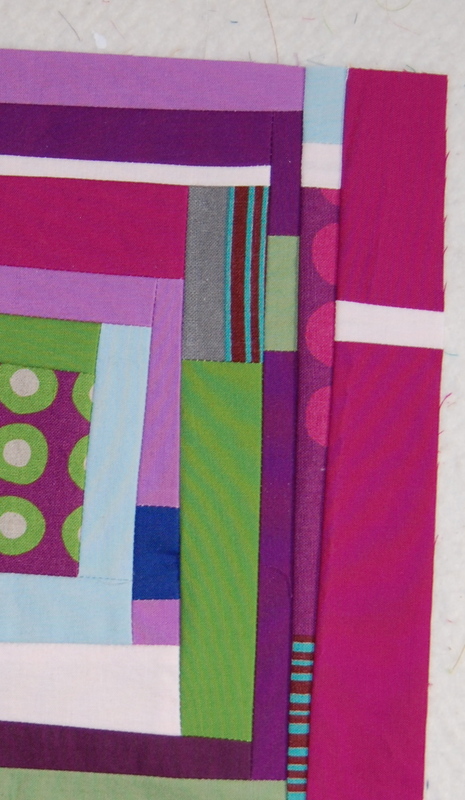 I was ready to bring in some pretty, whimsy, girly colors after my last few quilts. 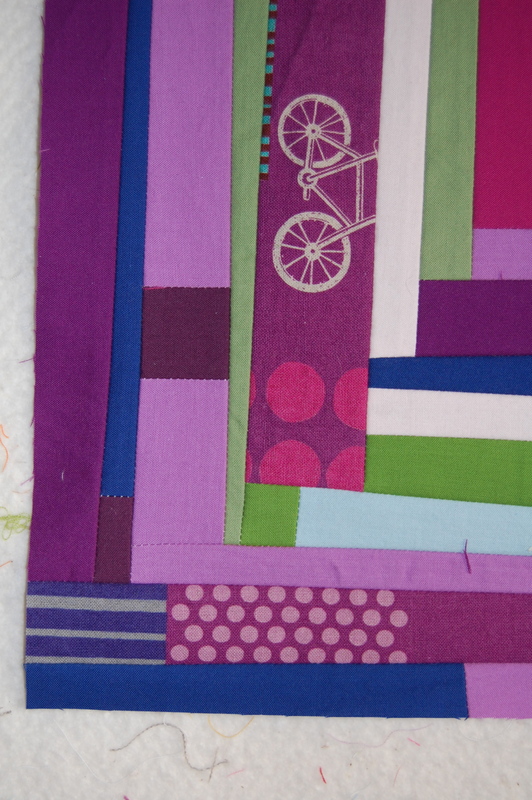 Not to mention, I couldn’t wait to cut into my new echino bicycle stash. I’m not sure yet, about this combo. I think I’ll have to sit with it for a bit. I have a feeling, after a few more visits, it’ll grow on me! Do I ever love this combo. 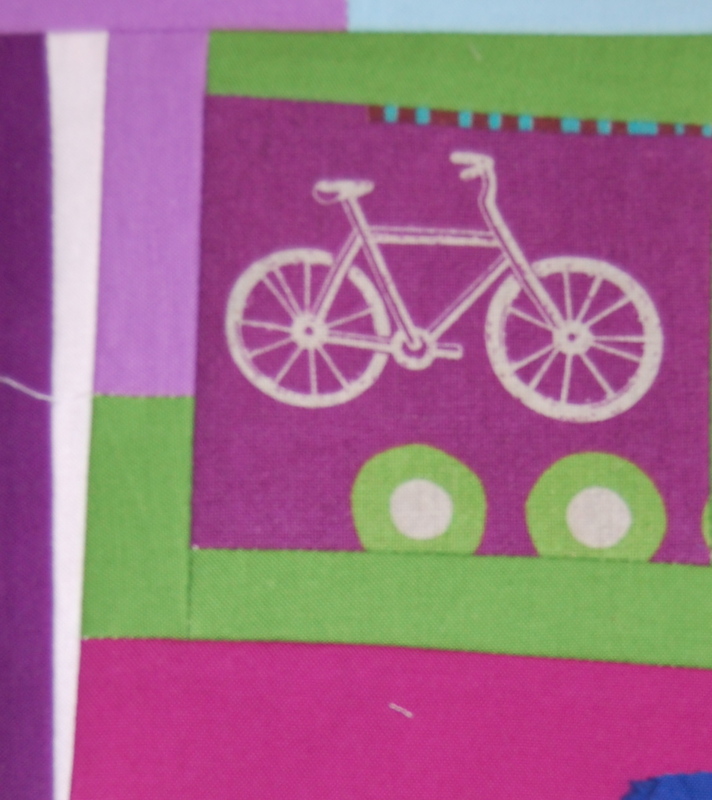 And the addition of the bicycle fabric makes it edgy and fabulous!! My favorite colors—just have fun with it. It’s growing on me! I like the color scheme, it is quite different for you. It’s great to change things up. Love the bicycle! Lovely. What’s not to love?! Love the color! Some of my favorites. Will the blocks have borders? What color?